What can the sounds of the stratosphere tell us about the nature of noise on the ground? #99 - Can Virtual Environments Help Us Save The Real One? Virtual reality immerses us in artificial experiences of the real world with research also showing VR can create empathy with the environment you're experiencing. But how far does this empathy go? We have entered the age of personalisation where algorithms filter and feed you your digital experience. But as the power of the algorithm has grown, why are they filtering out the environment? How a community in regional Australia has distanced itself from the electricity grid and powered the town through its own energy system. How would pumped hydro storage help us transition to 100% renewable energy? Will insurance companies ever offer cover for those living in a high risk flood zone? #80 - What Are We Doing to Our Water? 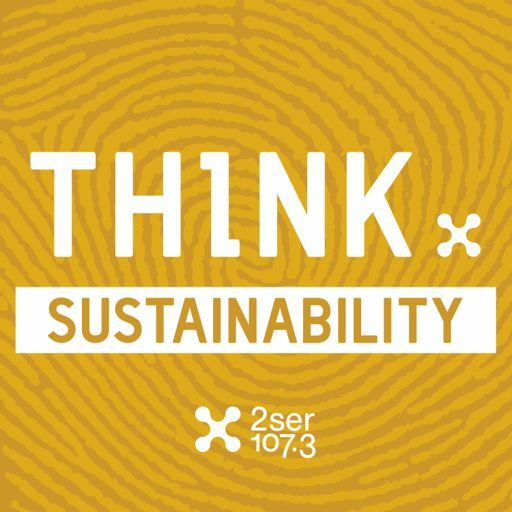 #78 - Should We Capture and Store Our Carbon Emissions? As global sea temperatures continue to rise, our coral reefs are turning from thriving marine ecosystems into underwater graveyards. But scientists have discovered a set of coral superheroes who might save the day. Citizen scientists and members of the public have done everything from discovering species, to documenting sea temperature changes. Illegal logging is an immensely profitable global activity, linked to corruption, human rights abuses, criminal networks, and environmental destruction. #74 - What Happens When A Species Goes Extinct? Scientists have warned we are facing another mass extinction event. The last one occurred over 65 million years ago, but due to global warming and human caused habitat loss, the next one is just around the corner. #72 - Should We Put A Price On The Environment? #71 - What's A Future Without Phosphorus? Noise pollution is the only cardiovascular risk that can't be resolved by doctors or medications, it's purely up to the politicians. #67 - What Ever Happened To Acid Rain? Australia is in the middle of a debate about coal. In 2015 Australia's Threatened Species Commissioner Gregory Andrews announced a plan to kill 2 million 'feral' cats in an effort to save the countries native species from extinction. #61 - Can Co-housing Solve Australia's Housing Affordability Crisis? #54 - Is Being A Vegan Sustainable? Does steering off meat and turning to a leafy green diet lower the impact of our global carbon footprint? #53 - Everyone Loves The Weedy Seadragon! They're cute, they're charismatic, but they're also on the cusp of dying out - can we save the Weedy Seadragon before it's too late? Hosted by Jake Morcom and Cheyne Anderson. Aside from picking off a berry and kissing your significant other in the doorway, what is the ecological significance of mistletoe? #47 - What Do We Do With All Our E-waste? #43 - Is There Hope For Antarctica? #41 - Climate Change Adaptation, Can We Do It? Will the political crisis in the Maldives unravel their tourism industry and bring about climate disaster? #62 - Are Our Sewerage Systems Ready For Climate Change? We don't think about our waste once we flush the toilet. But will climate change and rising sea levels bring it back to our attention? #57 - How Can We Escape Plastic? They're tailored to the bottom of your shoes, they line the coffee cup you drink from, they're even fixed to the outside walls of your home - how can we possibly escape a world that's dominated by plastic? What kind of creepers and crawlers does summer time bring out? This week we dissect exactly what will be causing you grief in the insect department coming into the hot months, and it's not pretty. What are the do's and don'ts of sustainable clothes shopping? How feasible is a 100% renewable energy system here in Australia? And how might dehydration help decrease food waste going to landfill? ENCORE - What Do You Know About Renewable Energy? #32 - Get Off The Road! How can we make Sydney's roads more cyclist friendly? And how long until algae takes over the coal industry? Presenters: Ellen Leabeater and Jake Morcom. Presenter and Producer: Jake Morcom. Why'd they name a fly after singing megastar Beyoncé? What do the sounds of small sea creatures say about the wellness of the ocean? And what does a sustainable house look like? Why are we scared of sharks? What is permaculture? And how can fashion be environmentally conscious? What mushroom can mind control insects? What do you want to do with your body when you die? And what is the Anthropocene? For National Science Week we look at biohacking, science communication and women in STEM. #23 - How Is Hair A Sustainable Resource? #22 - What Do You Know About Renewable Energy? How far can battery technology go? This week we look at advancing battery storage technologies as well as take a Tesla test drive! What are phytoplankton and why are they so crucial to everyday planetary stability? Can population growth and the notion of sustainability really go together? #15 - Trees, Or Light Rail? #13 - Can Festivals Be Sustainable? #1 - What Is Sustainability? What is sustainability? What does it mean for me? How can I live sustainably? On Episode 1 we look at answering these questions as well as look back at how sustainability has transformed over time.